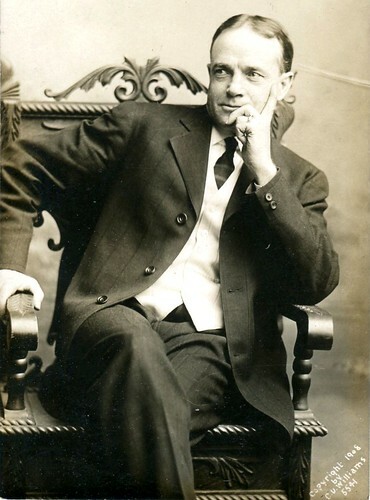 While the ministers of Joplin were busy raising the tabernacle in advance of the arrival of Reverend Billy Sunday, other preparations were also underway. Among those was the organization of women to help reinforce the religious teaching of Sunday’s great revival through “cottage prayer meetings.” 112 districts were created which encompassed the city with at least one woman per district. While several meetings were expected to happen before Sunday arrived, thereafter, thirty-minute meetings would be held every Tuesday, Wednesday, Thursday, and Friday after the Sunday services to follow up on the sermons. 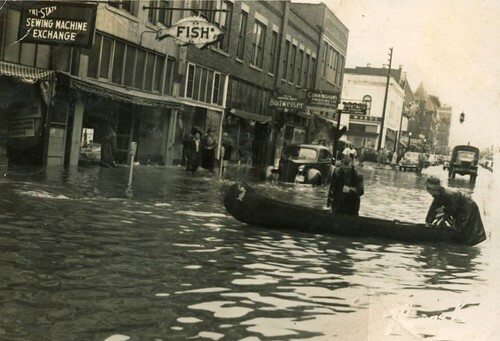 Five days later, under the order of Mayor Humes, the Joplin Police under the cover of night, swept through the district of the city between Eighth and Ninth Streets. Their orders were to investigate “suspicious houses,” where a newspaper claimed “questionable resorts were being maintained in buildings” on the block. 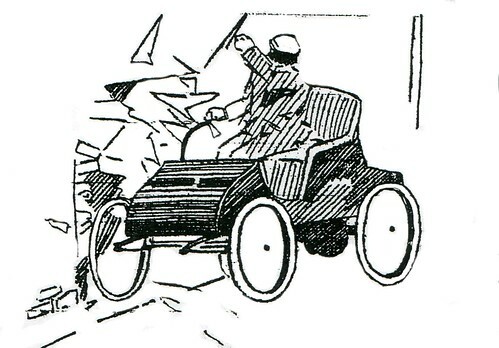 The investigation netted two women, Bessie Cook and Anna Grimes, arrested on the charge of “lewd conduct.” (Both pled not guilty) Before the specter of Reverend Sunday’s pending arrival, another raid was executed this time on “joints” on Main Street at nine in the morning on the 15th of November. Three squads of Joplin Police officers worked their way through suspected locations and by noon had arrested over 68 women (similar arrests resulted in $10 fines and a charge of disturbing the peace). Guy Humes, the crusading mayor of Joplin. Since his election, Humes had struggled to rein in the vices of Joplin, but often had met with resistance. 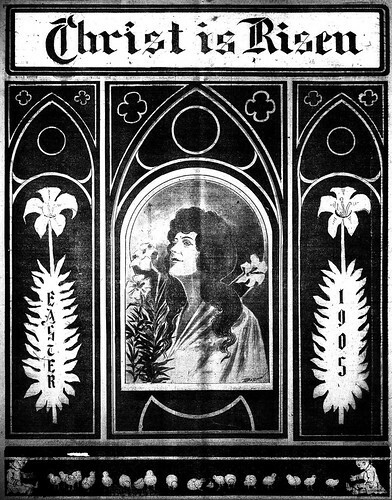 One Joplin daily newspaper (which threw its political support to the party of Humes’ opposition) even made a habit of ridiculing Humes’ morality crusade. Regardless, the fact that Billy Sunday was coming to Joplin had provided the mayor with a new well of support to achieve his goals. It was with no surprise that with such a groundswell of backing that Humes selected the most (in)famous saloon in Joplin to personally raid, the House of Lords. By law, alcohol was not to be sold on Sunday, a Joplin blue law. It was also a law that newspaper articles implied was routinely flouted. In his effort to ensure that he could catch the proprietor of the House of Lords in the act of breaking the law, Humes made the controversial decision to hire private investigators to go undercover to alert him of the time and practice of the violation. 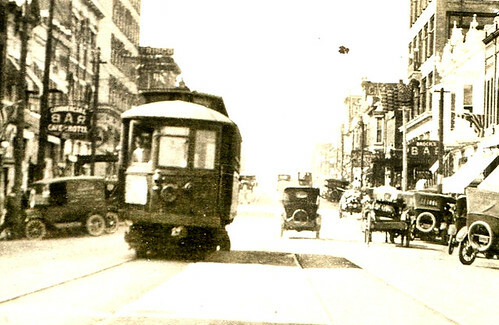 Thus armed with said information, Humes personally lead a raid into the famed saloon accompanied by not just police officers, but also a newspaper reporter. The result was outrage by some and congratulations by others and space on the front page of a Joplin daily. The city’s crusade was not without violence and bloodshed, either. In the midst of the prior raid on suspicious women, one police officer was killed and another wounded by William Schmulbach, when an attempt was made to arrest his wife. Schmulbach escaped and became one of Joplin’s most notorious and wanted men. High rewards failed to turn others against him and Joplinites claimed to have spotted him at one time or another across the breadth of the nation. Chief McManamy blamed the municipal judge, Fred W. Kelsey, who had ordered the raid for the officer’s death. Judge Kelsey, likewise accepted responsibility, but fired back that “No officer should shirk the responsibility of a raid made in an effort to enforce the law…” The severity of the conflict by Humes against the vices of Joplin soon garnered the attention of the Kansas City Star, which sent a reporter to Joplin to report on crackdown. In the outsider peering in perspective offered by the article that ensued, the true state of the recent events took on the incredible air of a city government divided. 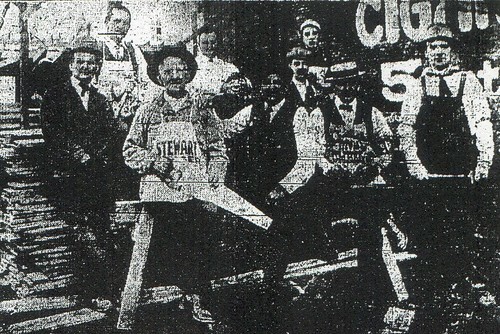 In one corner was the mayor, whom the article referred to as supported by “those who desire to see the laws enforced.” In another, the long time and often re-elected chief of police, McManamy, who purportedly was lobbied by the ne’er do wells to simply allow the city to be policed as it had before the pre-Sunday enforcement push. In the third corner, the municipal court judge Kelsey, who in contrast to Humes, wanted an even stricter crackdown on criminals. Additionally, the city council of sixteen was also divided along even lines of support for and against the law enforcement effort. 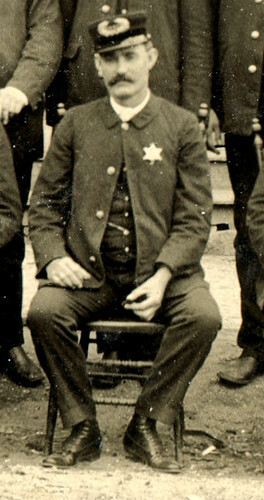 Police Chief John A. McManamy, the target of lobbying by the “open town” supporters. 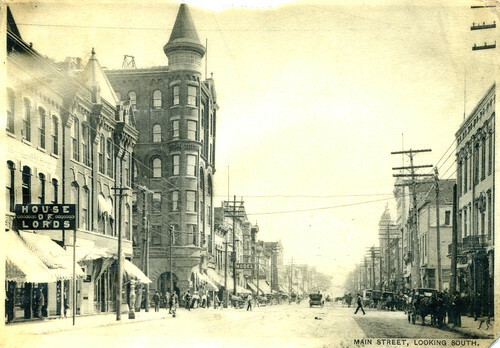 The House of Lords was, the paper described, “The central point of attack of the law enforcement contingent and the place around which the defenders of an open town are rallying…[It is]…the pioneer saloon, café, pool hall and rooming house in Joplin. It is the headquarters of many of the politicians, and the stronghold of those who do not like to see old conditions disturbed…” The House of Lords was a place of “red paint and expensive furnishings” which separated and distinguished the saloon from any similar business in Joplin. Humes, after the raid, refused to sign the liquor license and vehemently swore the House of Lords would be permanently closed. 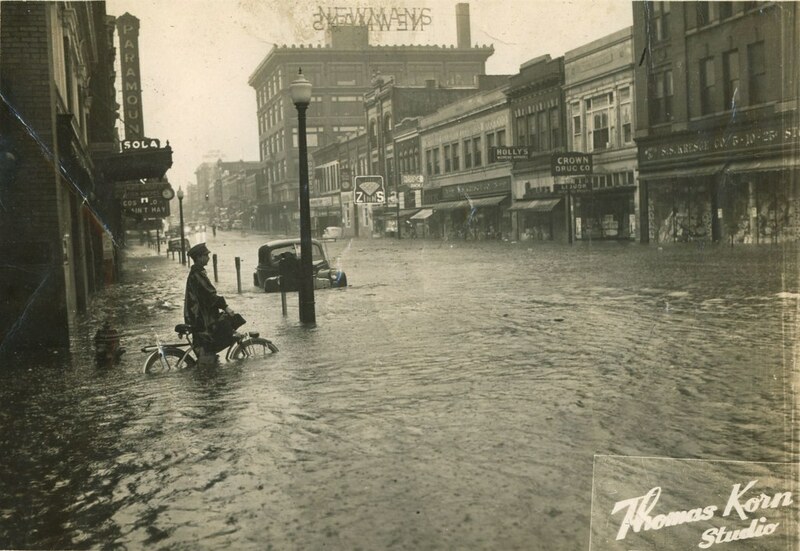 On the left, the House of Lords, located at the very heart of Joplin’s financial district and the alleged heart of those who supported an “open town” policy for Joplin. 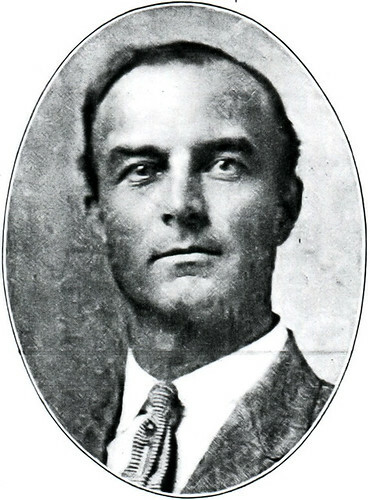 The Reverend Frank Neff, formerly assistant pastor at the Independence Avenue Methodist Episcopal church in Kansas City, and then president of the Ministers Alliance of Joplin, stated to the reporter, “We expect a great clean up in the city, but it will be in the nature of a religious awakening which will result in a permanent clean up and will come from a sincere desire of the people.” Neff went on to offer his support for Mayor Humes’ activity and granted him credit for attempting to clean up Joplin since he was elected. 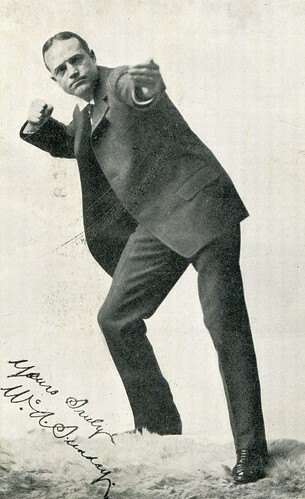 The pending arrival of Billy Sunday shook Joplin to its core. For some, it was the opportunity to save the city from vice once and for all through an up swell of religious fervor. For others, it was a direct attack on the customs and habits, if not livelihoods, of a city that had persisted since the birth of Joplin as a rough mining camp in the old Southwest. While factions fought, compromised and fought even more, all sides waited in one form of anticipation or another for the reverend to arrive. Historic Joplin hopes everyone has a great Easter weekend. Below is an ad celebrating Easter from 1905 Joplin. A photograph of the comet in 1910 via Wikipedia. The year 1910 witnessed the passing of one of America’s greatest authors and one of the galaxy’s most famous celestial events. Missourian and celebrated author Mark Twain was born in 1835, the same year that Halley’s Comet made an appearance, and by sheer coincidence, he died shortly after the comet graced the heavens once again in 1910. The comet’s brief appearance sparked interested across the world and Joplinites took note. The last time Halley’s Comet visited Joplin, as well the rest of the planet, was 1986. For those who missed it they will have to wait until 2061. It’s that time again, the Polar Express, a restored streetcar is now offering rides up in Webb City’s King Jack Park, on Saturday. Tickets are required and this is the last scheduled Saturday to catch a ride on a piece of Joplin’s past (at least until it’s warm again!). A ticket will gain you a 12 to 15 minute ride. The event, which includes a visit from Santa Claus, runs from 4:30pm to 9pm. For a bit more history on the event, check out this Globe article.